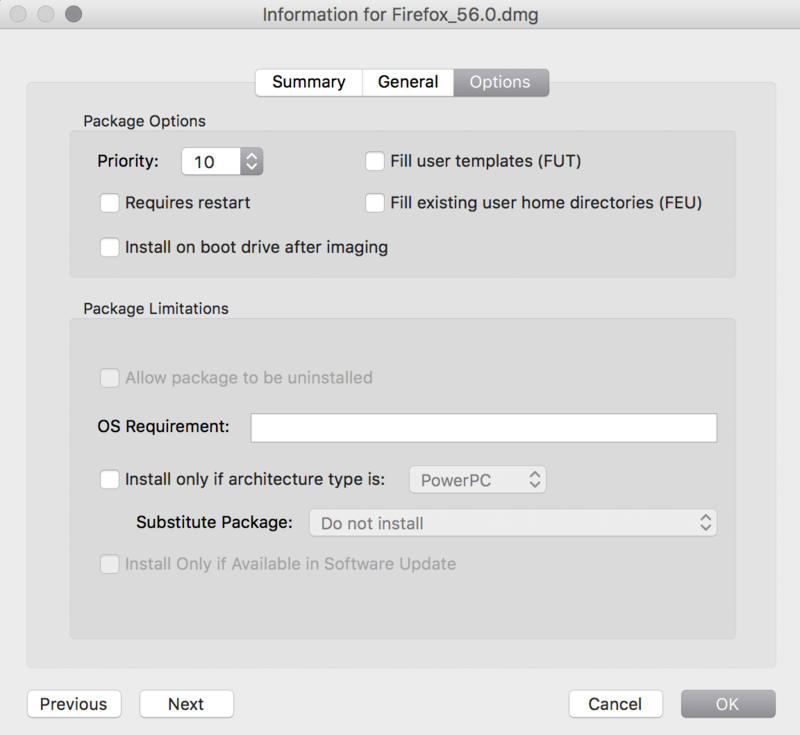 Note: There are special instructions for managing macOS Installers. 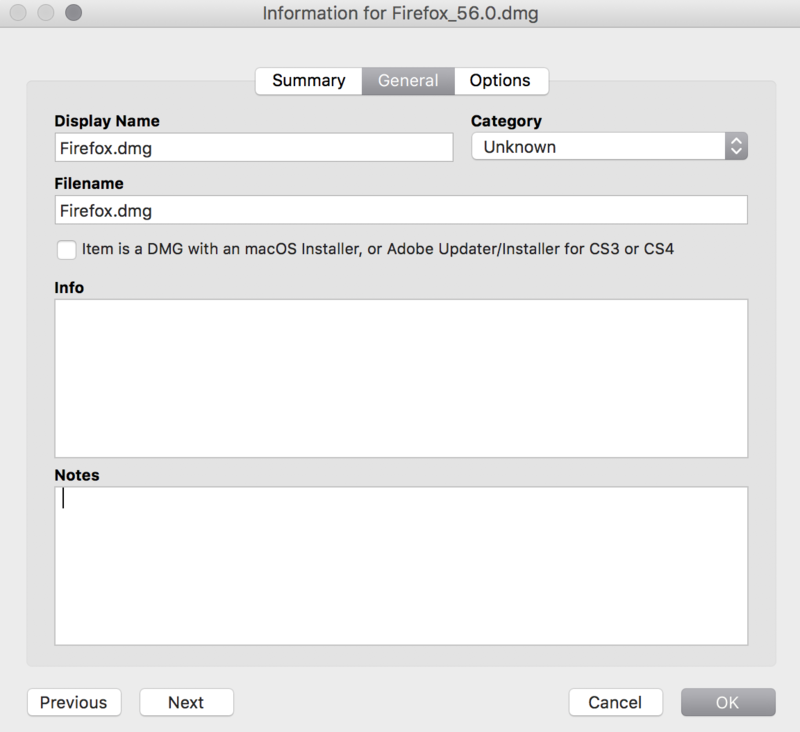 For more information, see Managing macOS Installers. Note: You must index a package before you can uninstall it. When you add, edit, or delete a package in Jamf Admin, the saved changes are reflected in Jamf Pro and vice versa. Note: No other .app files or package names including ".app" are accepted. (Optional) If you are uploading an enrollment package, you can upload a custom manifest file by clicking the Upload Manifest File button. Save the changes by clicking File > Save.